Tyler is the founder of Fan Interference. He writes occasionally but not weekly. He hopes that people will come to us for news going on in the sports world. Tyler wants readers of Fan Interference to know that not just him, but the entire writing staff works tirelessly to provide up to date sports news. Fan Interference appreciates everyone who chooses to come to us for daily articles. Mike will be in charge of the social media pages of Fan Interference. Mike’s main goal is to spread the word of F.I. and update our readers for potential giveaways! 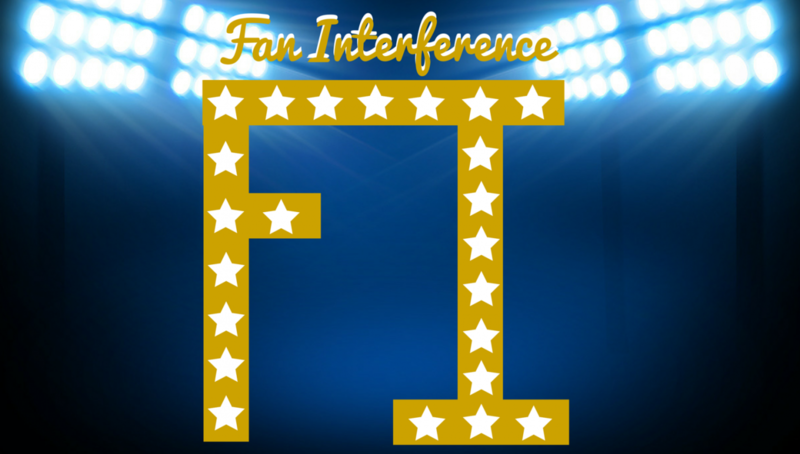 Be sure to like/follow Fan Interference on Facebook and Twitter! Sam is the baseball writer at Fan Interference. His love for the sport started very early in his childhood. Sam’s life has always revolved around baseball and continues to play to this day. He is a huge Boston Red Sox fan but will do his best to stay as unbiased as possible…no matter how hard that may be. Catch his articles every Monday for your up to date baseball news. Joe loves hockey, maybe a bit too much. But we like him anyways. He used to be really tall in middle school then stopped growing just in time for high school. His appreciation for the game rooted from how much of it he watched from the bench. Today, he’s an aspiring hockey writer doing this based on his infatuation for the game. Before you ask, no he’s not Canadian, but he does write for us every Thursday. So if you’re a fan of the sport or want to learn more, make sure to tune in! Carson is your source for football content each Friday. Carson’s football experience included a lot of time on the bench where he could learn the in’s and out’s of the football world. A self-proclaimed Fantasy football guru, Carson has always been a fan of Boston sports and the history around them. Carson is happy to be apart of the Fan Interference staff and have the ability to write his thoughts and opinions down for the world to read. Brian is a huge sports fan, whose life has revolved around sports. Brian has played pretty much every sport you can think of, golf and tennis being the main two, but that doesn’t stop him from being extremely knowledgeable about all sports. Brian will be writing about every sport on occasion. So be on the lookout for his articles! Jack is your source for college sports for the site. Jack, a recent graduate, has been found to watch NCAA games instead of professional games. Oozing of handsomeness and college sports knowledge, he is eager to bring his talents to the staff. Devin is your source for basketball every Tuesday. After retiring from amateur street hockey at the ripe old age of sixteen, he took his talents to the track, where he had a successful career for the Monty Tech Bulldogs (we’ve never heard of them, either). He also had a brief football career, but he’d rather not talk about it. Getting cut from his middle school basketball team fueled Devin’s love for the sport, much like it did for Michael Jordan when he got cut from his high school team. The only difference is, Devin never got any better. Mike is a big sports fan inside and out. He has experience on and off the field with his favorite sports being football, basketball and boxing. It’s been his goal to use his knowledge of sports and put them out for the world to see. Growing up, him and his dad had a tight relationship and it essentially revolved around sports, forming him into the sports fanatic he is today. So tune in and feel free to comment on his articles and let your voice be heard. David “Jackrabbit” Nolan is a lover of bone crushing hits, high octane offense, and smash mouth football, both on the ice and gridiron. Dave is an NHL and college football junkie to say the least, with his roots lying deeply with the Boston Bruins and Clemson Tigers. He has the inside scoop of all things NHL and college football, stay woke. Derek is the Fantasy Football writer for Fan Interference. He drafted in his first league four years ago, finishing with the best record only to lose handily in the playoffs. He’s been hooked ever since, crossing off Mathew Stafford’s name from every draft (for what he swears are completely unbiased reasons), and winning the Mantasy League Championship in its second year. The opportunity to put his excessive research to good use for our readers is one he’s more than happy to be a part of. Look for his articles every Saturday. Brendan is your token NBA writer for Fan Interference. Brendan is a lifelong basketball fan and former below average high school player with a phenomenal career 12 varsity points. He knows the in’s and out’s of each NBA team while specializing in Boston Celtics love and LeBron James hate. If you want some not-so popular takes on everything NBA take a look at Brendan’s blogs. Steve is a soccer fanatic. He has been following and playing soccer for most of his life. Recently he has become a washed up, bush league player, still waiting for the day where his favorite team, Chelsea FC calls his number. He is a knowledgable source for everything soccer, so tune in to find out what’s happening in the soccer world.